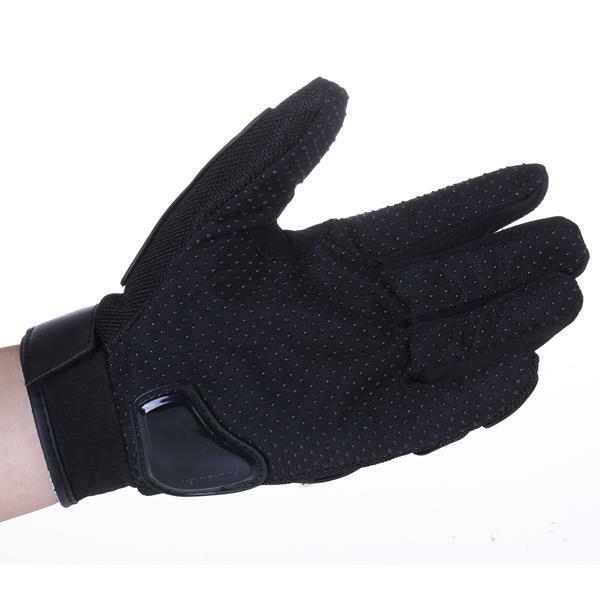 Brand new and high quality full finger gloves. 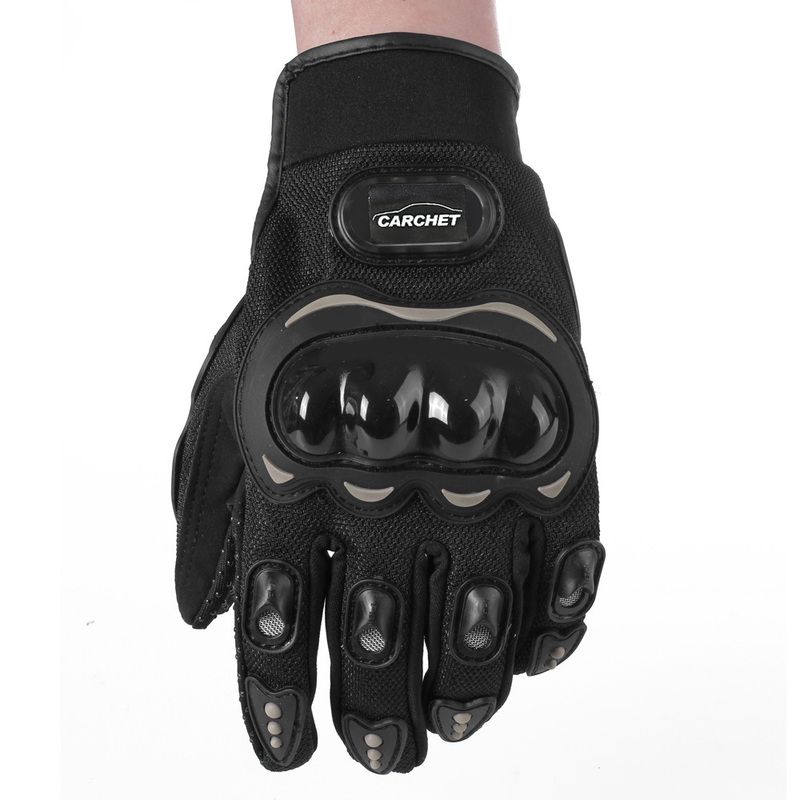 Ergonomic design with hard shell protection made of carbon fiber and breathable mesh, comfortable to wear. 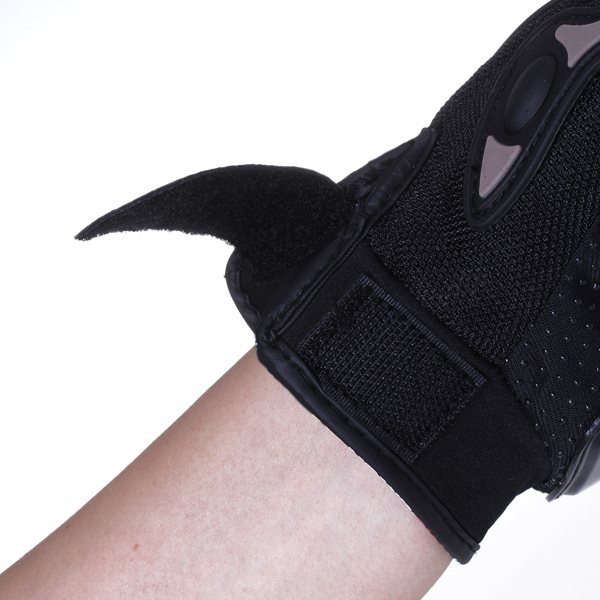 Neoprene embossed design makes for good grip. 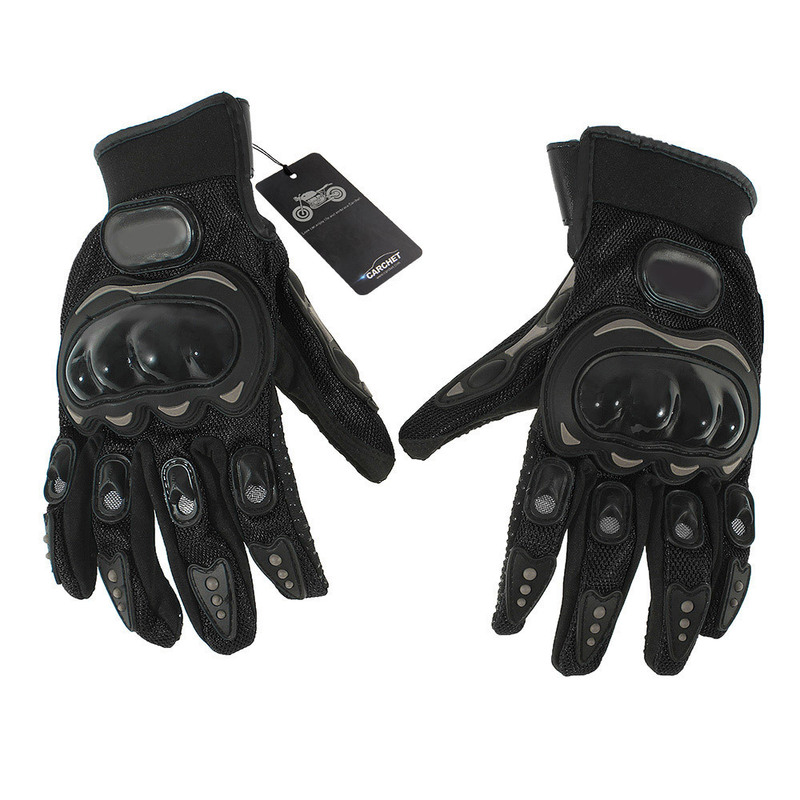 Finger impact protection attached leather. 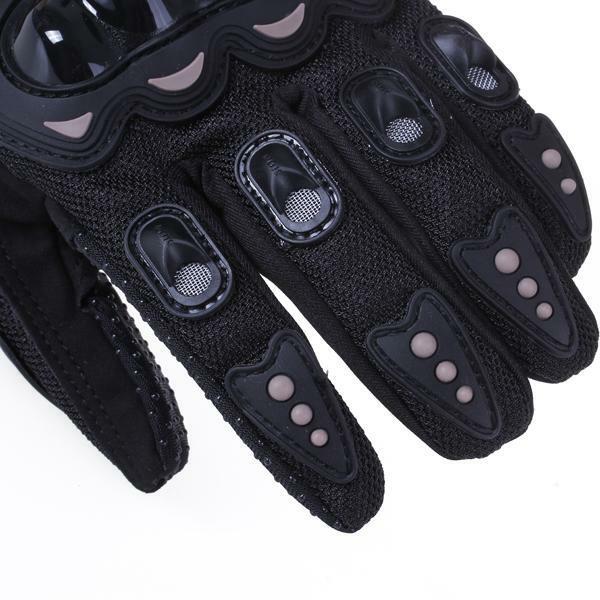 Suede protection against wear and better grip. 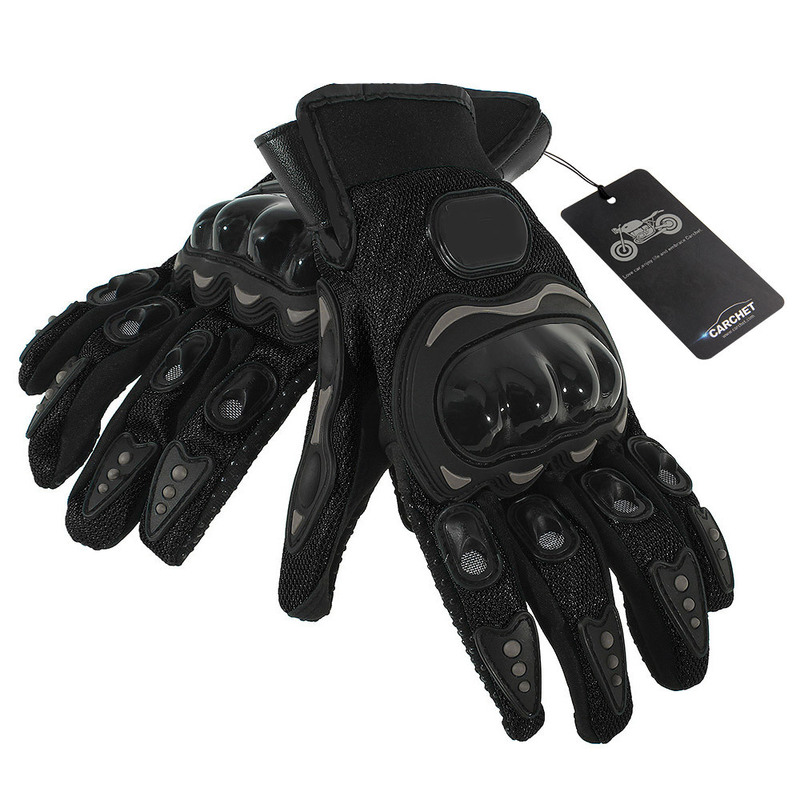 Finger tip impact protection.Slip resistant palm design. Look no further, buy it now! Hard shell protection made of carbon fiber. 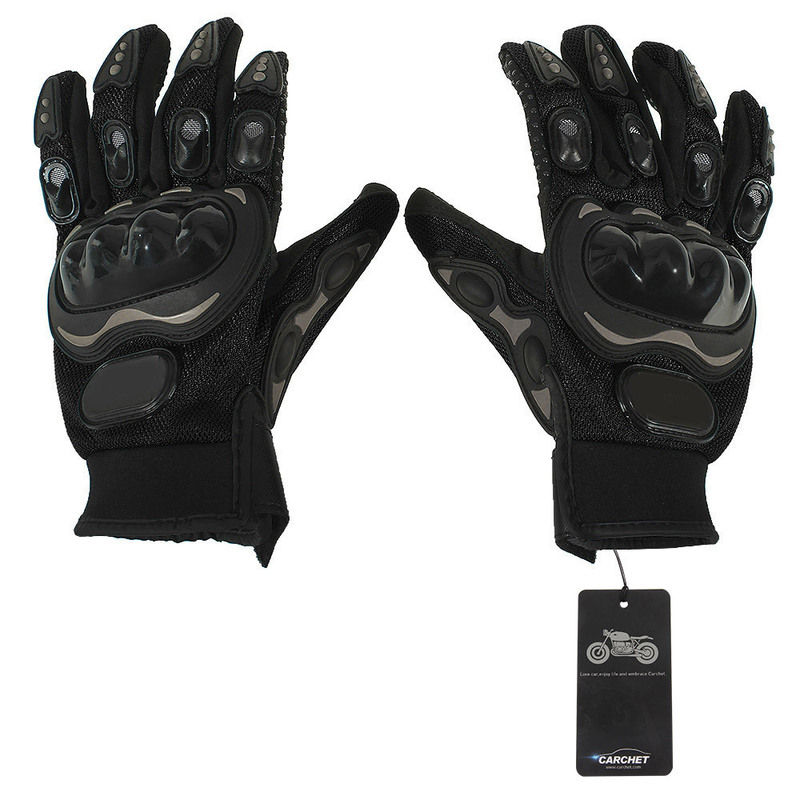 Breathable mesh, comfortable to wear. Tear and slip resistant. 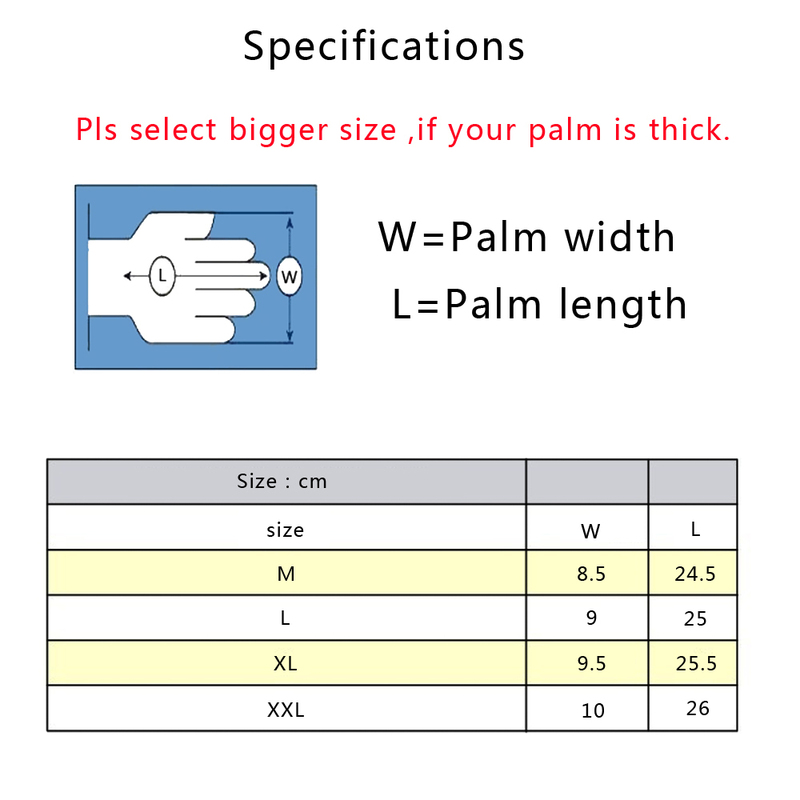 Adjustable wrist width .